Thus begins the marvelous Psalm 78 as the psalmist sings a history of God’s people in Israel. 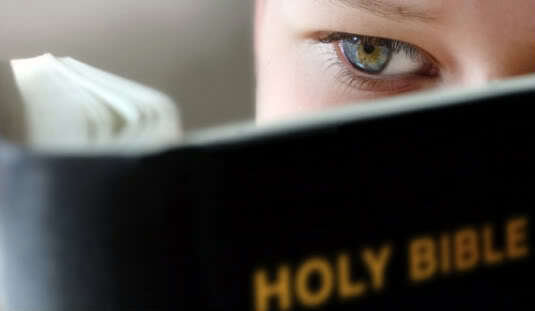 “Teach your children…” Deuteronomy commands. Here the poet reminds how crucial it is to share our faith with the next generations. In America, during the tumultuous 60’s, young people in our churches wondered what was going on in their world and how they should respond as people of faith. Protests, marches, riots and assassinations challenged America to our core. Young people looked to the church for guidance as they pondered what would be an appropriate faith response to war and injustice. In many ways, in many churches, we failed them. And we lost them. Hundreds and thousands of youth in the 60’s gave up on church because they didn’t find “faith” to be relevant to their real lives. Now – fifty years later – we can see a gaping hole. The parents of my generation who thought faith was irrelevant now have children and grandchildren who were never even introduced to faith. Demographic categories for faith in America now include the “Nones” and the “Dones:” people who have given up on faith. A nation of people that once assumed some sort of wide spread faith commitment now sees an increasing percentage of Americans who are committed to secular values rather than being shaped by religious values. Something similar must have happened in Israel. Some scholars place this psalm in the historical period of David or maybe of a later king such as Hezekiah. Others see how Psalm 78 would clearly speak to a generation after the Babylonian Exile. Either way, the passion to tell the story of Israel and its journey with the LORD would have been crucial to the people who returned from Exile committed to rebuild their nation and re-establish their faith. Exile would have taught them the old and ongoing truth that faith is only one generation away from extinction. Therefore Psalm 78 tells again the old, old story of God’s great faithfulness. In contrast, the psalmist owns up to Israel’s persistent unfaithfulness. So the story of the journey of faith must include the Divine balance between justice and mercy. Psalm 78 acknowledges the rightness of God’s judgment but still rests within and celebrates the Divine grace that continues to draw God’s people back into covenant relationship. THIS is The Story of God with God’s people throughout the ages: amazing grace, persistent redemption and surprising faithfulness. Training the next generations only in rules and rituals or in doctrine and dogma is useless unless the foundation of faith is authentic relationship. Faith in a relationship is so much more than a belief system; rather this faith trusts and obeys in a Living God who is in real relationship with real people. If this psalm came from the post-exilic period, then the references here to “Zion” and “David” would be messianic since the psalmist had experienced the loss of the Davidic monarchy and the Temple. Even so, hope remains. The prophetic vision seen here holds fast to the faith that there will be time when God’s presence will once again be known among God’s people. This is eschatalogical hope. The confidence that – in spite of all the evidence to the contrary – the Creator remains faithful to the work of Shalom throughout all creation. To be sure, Psalm 78 is a reminder that knowledge does not guarantee faithfulness; it insists that knowing the story is the foundation for faith and hope and life. The church in recent years and throughout its history has often been so self-absorbed and preoccupied with institutional maintenance that it has forgotten what God has done and has failed to tell the old, old story that is so full of new possibilities for responding with gratitude and service to God’s persistent and amazing grace (993). We who are the 21st century church must pay attention. Indoctrination is not the same as handing down the faith. Our own children and grandchildren must see and hear authentic witness from us: our mistakes and foolishness as well as our tentative journey of faithfulness. We – and they – are ongoing chapters in this remarkable story of grace. The Story is our story too. J. Clinton McCann, “The Book of Psalms” in The New Interpreter’s Bible, volume IV (Nashville: Abingdon Press) 1996. See here a recent Barna research study on why adults do not talk about their faith.